Gary Romer is a partner in the Fort Lauderdale office of Lewis Brisbois and a member of the Corporate Practice. Mr. Romer is also Lewis Brisbois’ Florida title agent, conducting settlement for real estate transactions and issuing title insurance policies to purchasers. Mr. Romer helps business owners buy and sell their businesses and real estate, and also assists with their day-to-day operational needs. This includes shareholder and operating agreements, merger and acquisition transactions, commercial real estate transactions and commercial lease agreements, loan transactions, employee boarding documents, confidentiality agreements, non-compete and non-solicitation agreements, work for hire and proprietary rights agreements, internet business agreements and domain name transactions, manufacturing and supply agreements, and a variety of business to business agreements. 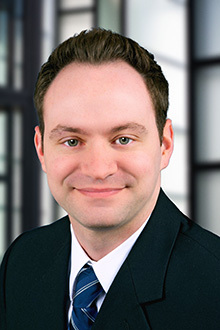 Mr. Romer also uses his business and real estate knowledge to drive strategy in real property, landlord-tenant, and commercial litigation matters working closely with the firm’s Commercial Litigation practice group. Represented production, studio, and software company in approximately $60,000,000 merger transaction. Represented developer-purchaser in acquisition of commercial building and additional vacant land for re-development into luxury apartments with mixed-use commercial space. Represented large veterinary practice in an approximately $11,000,000 refinance of its real property and business assets. Represented a seller in the sale of its managed hosting and data center to a leading global IT infrastructure and technology company. Represented a seller in the sale of a wholesale distributor of fresh produce and dairy products to customers located throughout the southeastern United States and the Caribbean to a strategic purchaser. Represented the seller in the successful closing of the sale of a majority stake investment in a provider of electrical, telecom-datacom networking, home theater, cable, and wire management products to a private equity firm.